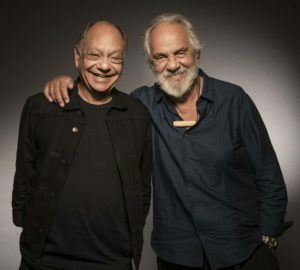 “Cheech and Chong, known for such movies as ‘Up in Smoke,’ ‘Nice Dreams’ and more, have long been known for their movies involving the comedy surrounding heavy marijuana use. 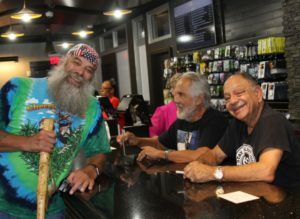 In addition to their use in movies in the 70s and 80s, they now advocate for the use of marijuana in medicinal ways as well as recreational use. 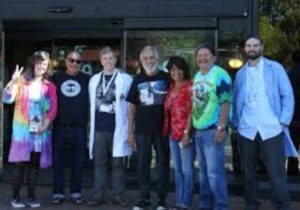 Commencement Bay Cannabis is the second cannabis retail location that is part of Puyallup Tribal Cannabis Enterprises, an organization that is utilizing the growing popularity of the cannabis industry to create jobs and careers, education and training to tribal members and work to contribute to the tribal economies in the region. 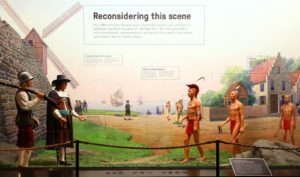 “State laws and policies in California have made some progress possible, but many tribes still lack legal recognition and struggle to maintain their cultural heritage and the environment. Louise Miranda Ramirez has fought to protect her ancestral lands and cultural sites for most of her 60-plus-year lifetime. 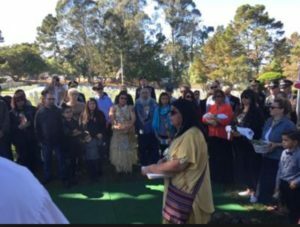 ‘It’s so hard to save our lands and ancestors when we’re living in areas with people who make lots of money and don’t care about us,’ says Ramirez, the tribal chairwoman of the Ohlone/Costanoan Esselen Nation, known as OCEN. Ramirez and her fellow leaders have a rough task on their hands: Their traditional lands encompass Carmel, Pebble Beach, Big Sur, Asilomar and other highly coveted — and uber-expensive — communities along the Central California coast and Coast Ranges. Preserving burial sites, protecting traditional gathering areas from development and preventing villages from being bulldozed was at one time virtually impossible, as the tribe lacks federal recognition. 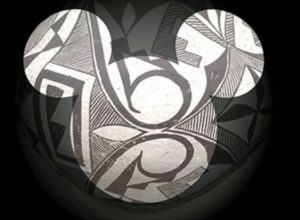 Nearby, the Amah Mutsun Tribal Band is addressing similar issues. 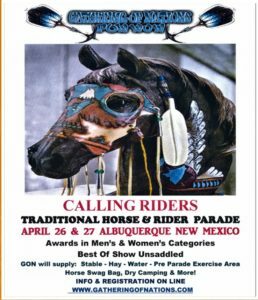 ‘Creator gave us the responsibility to care for Mother Earth and all living things’ says Chairman Valentin Lopez. 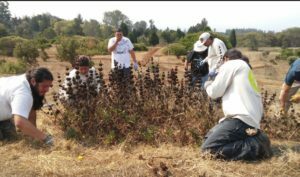 The Amah Mutsun’s lands lie within the contemporary northern Salinas Valley, portions of San Benito County and Pinnacles National Park. ‘We knew that we had to find a way to exert stewardship over those lands to restore our relationship with the land.’ Like Ramirez’s tribe, Amah Mutsun is also not federally recognized. California has the largest number of non-federally recognized tribes in the United States…In 1851-52, shortly after the state entered the Union, the country negotiated 18 treaties with California tribes guaranteeing lands and other rights. But the Senate refused to ratify the treaties, leaving most California Indians without land or legal protections. Only Natives who ended up on small settlements called rancherias eventually received federal recognition, which didn’t all last. Then, in the 1950s, Congress terminated 109 tribes across the country, including 41 California tribes. Some of those tribes have never been restored. 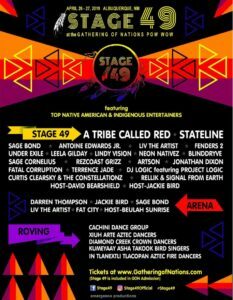 Today 55 tribes in California lack federal recognition, more than 20 percent of non-recognized tribes nationwide, according to the Government Accountability Office. The Winnemem Wintu learned that descendants of their salmon are thriving in a New Zealand river. The tribe has been fighting to return them home. 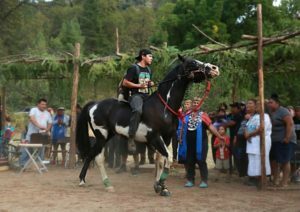 One of the best-known examples of how non-recognized tribes’ rights get overrun concerns the Winnemem Wintu Tribe. The 125-member tribe in Northern California has called the McCloud River home for millennia, but saw its lands taken by the federal government in the 1940s when Shasta Dam was constructed. Many of the tribe’s village, burial and cultural sites soon disappeared under the reservoir’s rising waters — and the salmon runs, upon which much of Winnemem’s culture and food supply is centered, are gone. “Edged in a rich matte gold, each bead holds a prayer that these precious souls will be found and justice served. I am grateful for the opportunity to create, always; it is immensely therapeutic for me to go through the process, especially when I think of and pray for the thousands of women who had their power to create unjustly stripped from them. 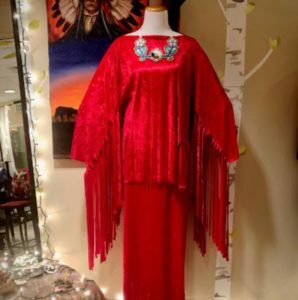 *The dress will be on display at the Plains Art Museum in Fargo, ND, as part of their exhibit Waasamoo-Beshizi (Power-Lines), which will be on view Jan 31-July 31. Fortunately, a group of emerging indigenous designers is changing the way indigenous culture is represented on the runways of fashion week. Still, a bulk of their work is reserved for the vacant display case in some newly commissioned project. 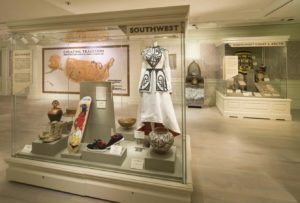 In 2017, notable designers such as Project Runway alum Patricia Michaels (Taos), Bethany Yellowtail (Crow & Northern Cheyenne), Jared Yazzie (Diné), Jamie Okuma (Luiseño/Shoshone-Bannock) and Orlando Dugi (Diné), were part of a travelling exhibition called Native Fashion Now, which took up residence in the Smithsonian’s National Museum of the American Indian – New York. The exhibition featured contemporary works by indigenous designers ‘making their mark in today’s world of fashion.’ As groundbreaking as the exhibit was, it still encapsulated Native Fashion as relics. 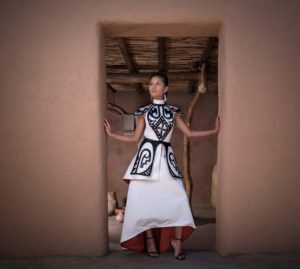 Fashion designer Loren Aragon created a couture dress for the Walt Disney Company using this traditional Acoma Pueblo pottery as inspiration. 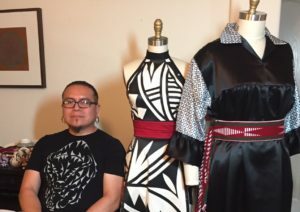 This past summer, and fresh off his 2018 Designer of the Year win at Phoenix Fashion Week, Acoma designer Loren Aragon of the couture fashion brand ACONAV, was handpicked by the imagineers of Walt Disney World to design a Disney princess-inspired gown based off an Acoma olla pot pulled from the Smithsonian. The finished product was nothing short of breathtaking.